Are you part Nigerian? French? Native American? An AncestryDNA® test can tell you. Discover which regions your African ancestors came from—and where in the Americas they and their descendants went over the next few hundred years. How the journeys of your African American ancestors led to you. AncestryDNA can show you how the journeys of your ancestors in the Americas have led to you. For example, during the Great Migration (1910s to a peak around 1970), roughly six million African Americans left the South, moving north and west. Could there be lost ties to specific regions of America in your family? An AncestryDNA test could tell you. Records bring the stories of your African American ancestors to life. With billions of historical records—including emancipation records, slave schedules, military records, photos, and more—Ancestry can help you bring your African American and other ancestors’ stories to life. Where did they live? What were their names? Ancestry records could tell you. 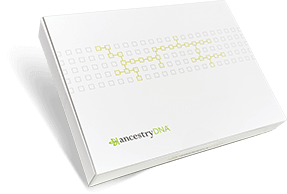 AncestryDNA is the trusted industry leader in DNA testing, but that’s just the beginning. have uncovered something new about themselves. can match you to more living relatives.